The rapid growth of infrastructure and booming technology sector in Bangalore has created vast wealth for many; however, around a quarter of its 8.4 million people still live below the poverty line. 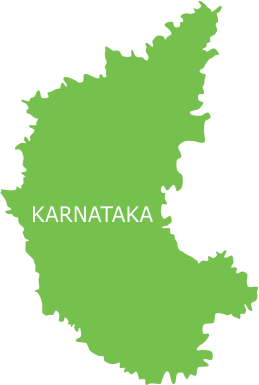 This underprivileged population, more than half of which are migrants from different parts of Karnataka and other states, inhabit at least 600 slums across the city and hundreds others that have not been accounted for. Distressed with poverty and low social status, these slum dwellers mostly resort to construction work and informal labour to make the ends meet. Absence of basic civic amenities, such as drinking water, sanitation, garbage disposal, drainage system and toilets make living conditions grim for these people. Owing to underprovision and marked inequitable distribution of primary healthcare services, the slums in Bangalore have become a hotbed of preventable and vector borne diseases like tuberculosis, diabetes, malaria and dengue. Illiteracy and lack of health-seeking behaviour further add to the hazardous health practices rampant in urban slums to risk the lives of the impoverished population, particularly pregnant women and children who need more attention than others. With the aim of ensuring good health of the downtrodden population of Bangalore, Smile Foundation has joined hands with ANZ (Australia and New Zealand Banking Group). With their support, Smile Foundation is extending its healthcare services to over 20 slums across the city including Gorguntepalya, Nandini Layout, Indiranagar WC Road, Nayandanahalli, Agrahara Dasarhalli, Sanjaygandhinagar, Sumanahalli, Laggere and Kengeri. Under its Smile on Wheels mobile hospital programme, a wide range of preventive, promotive and curative health services are provided at the doorstep of men, women and children residing in these slums. The Mobile Hospital Unit is self-contained with all the necessary lab equipment along with audio visual aids and a team of medical experts to provide medical consultation, diagnosis, medicines and lab testing facilities to the beneficiaries. Besides free-of-cost healthcare services, different IEC activities like street plays, community meetings and health talks are conducted under the supervision of a Project Coordinator to sensitise the slum dwellers on nutrition, general hygiene and other essentials for good health. Pregnant women, being the ‘high-risk’ group, are given special attention through special interactions on ANC/PNC, immunization, breastfeeding, newborn care and family planning. 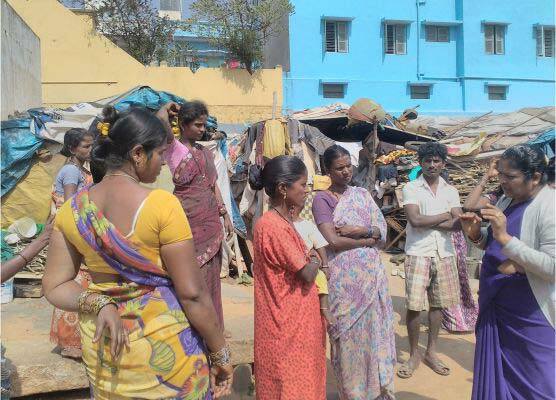 Smile Foundation also facilitates referral services to beneficiaries to connect the underserved communities in Bangalore with the government. General medical check-ups, lab tests and medicine distribution conducted during regular OPDs in more than 20 slums across Bangalore. More than 2500 underprivileged families and children are reached directly every month, 60% of the total beneficiaries being women and young girls. Lab tests for Blood Sugar, Widal, Malaria, UPT, HB, Cholesterol, Scrum Creatinine, TGL, Blood Urea, SGOT, SGPT, Uric Acid, Dengue and HbsAg to ensure proper diagnosis of patients. Special awareness sessions conducted on ANC/PNC to cater to pregnant and lactating mothers and address pregnancy and newborn care related issues. Special health camps, school health programmes and community meetings organised to spread awareness on proper nutrition, hygiene and basic healthcare. Referral services provided to patients for vision check, cataract, FBS, PPBS, thyroid, chest X-ray and fracture.